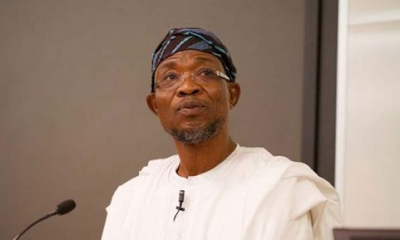 I Didn’t Receive Salary For Eight Years, Says Aregbesola – Royal Times of Nigeria. Aregbesola said this on “Ogbeni Till Day Break,” a monthly interactive programme he introduced after he was sworn into office. Aregbesola said he had been prudent with the resources of the state. Aregbesola who will handing over to the governor-elect, Alhaji Gboyega Oyetola on Nov. 27, said he would vacate the government house by Monday, Nov. 17, said that the decision to leave the government house earlier is to give his successor enough time to do necessary renovations.